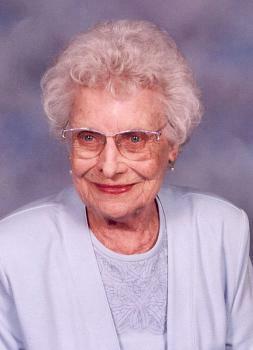 Dorothy Haag Meinrod, age 92 of Prospect, died Wednesday morning, September 15, 2010 at her home. 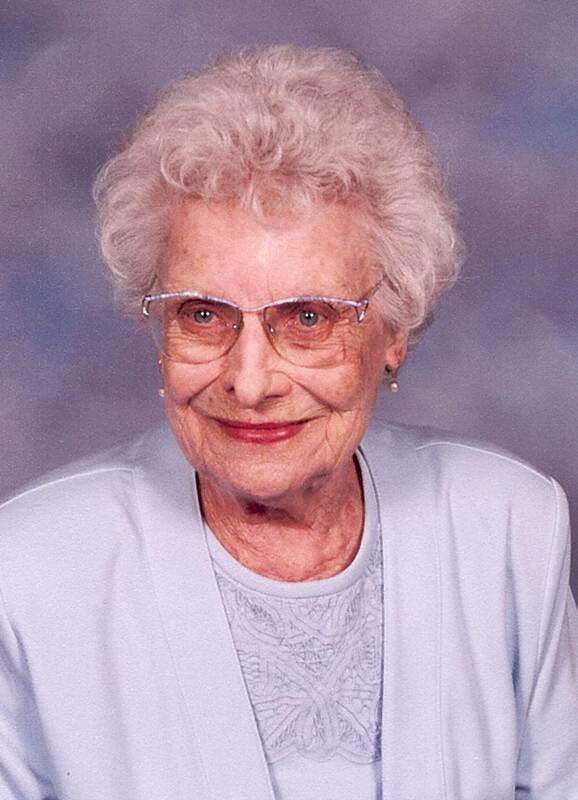 She was born June 2, 1918 to the late Harold and Clara (Krause) Haag. On June 16, 1939 she married Robert Anderson Meinrod and he died October 27, 1994. She was a member of Prospect United Methodist Church,Beacon Chapter #593 Order of the Eastern Star and Prospect Senior Citizens. Dorothy had a real passion for reading and had a dear love for family and friends. She is survived by two sons, Robert Haag (Kathie) Meinrod, Vernal, Utah; Jerrold Lee (Robin) Meinrod, Tampa, Florida; a daughter, Cheryl (Pat) Carey, Prospect; a brother, H. E. “Bud” (Deborah) Haag, West Lake Village, California; 12 grandchildren, 16 great-grandchildren and 2 great-great-grandchildren. She was preceded in death by two sisters, Eleanor Schaefer and Jean Pierce. Funeral services will be Saturday, September 18, 2010 at 10:00 AM in the Prospect United Methodist Church with Pastor Rich Allen officiating. Graveside services will follow at 1:30 PM in Forest Lawn Memorial Gardens, Columbus. Friends may call one hour prior to the service beginning at 9:00 AM at the church. The family is being assisted by Stofcheck-Ballinger Funeral Home, Prospect. We didn't know "mimi" but through Molly's stories I kinda feel we did in a sense:) "Mimi" has brought many smiles and laughs to me and Molly's Summit Eye family. I know how much Molly's mimi meant to her and her family, and we are keeping you all in our thoughts & prayers. I am sorry for your loss. I do not know Dorothy but she has such a kind, beautiful face that I right away felt like I did know her. Actually her loss is a loss to the whole family & her community also. I am so sorry for your loss. I am sending a check to Nationwide children's Hospital in memory of Dorothy. The number of Krause grandchildren is dwindling. Dorothy has been a part of my family since I was born in 1940. My parents were close friends with she and Bob. I grew up with her children. She outlived so many of her generation. We will always remember the things she did for us and the times we all enjoyed together. Our sympathy to Bob, Jerry, Cheryl and their families and to Joyce who has been her caregiver. I was so sadden to hear about your Mom. I will always remember her as a such a happy person with that great smile of hers.....a true lover of life! I am so sorry for your loss. Dorothy was such a fun, sweet woman. I met Dorothy and Bob years ago through Dorothy's friend Eleanor Lankford who was our neighbor. We had quite few laughter filled get togethers. I'm sure you all had great times with Dorothy and I am so glad I knew her.